Amarillo (Tex.) – Tapatio FC announced on Monday an official athletic apparel agreement with Admiral, one of the leading performance apparel and equipment brands in the US. 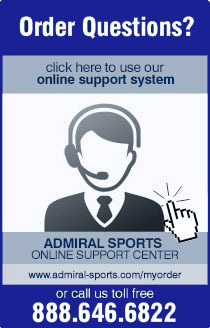 Admiral is already the UPSL’s official apparel partner providing team wear to most of the leagues’ clubs. UPSL is the fastest growing Pro Development League in the USA, with 300-plus teams targeted for 2018 Spring Season. Admiral will supply the team kit, and other official gear to Tapatio FC as part of a multi year partnership. Waco Football Club today announced a new technical partnership with Admiral, which represents a huge commercial partnership for the club. Admiral, the world’s oldest soccer brand, will become Waco Football Club’s official kit provider from the 2018-19 season as a multi-year agreement is unveiled. The club play in the UPSL the fastest growing pro development leagues in the US. Admiral, the world’s oldest soccer brand, will become Dakota Young Stars Football Club’s official kit provider from the 2018-19 season as a multi-year agreement is unveiled. The club play in the UPSL the fastest growing pro development leagues in the US. Weatherford, Texas – Admiral Sports one of the leading performance apparel and equipment brands in the US announced on this week an official athletic apparel agreement with Weatherford FC.